How do I initiate the move-in and move-out inspection process with a new tenant? 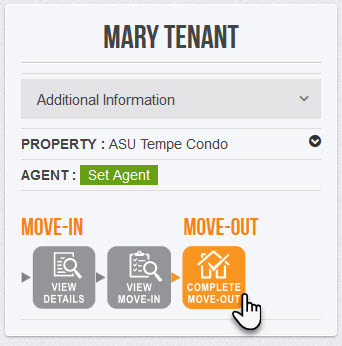 STEP 1: Click MIMO on the home screen of your account and find the tenant's name who will complete the move-in inspection. 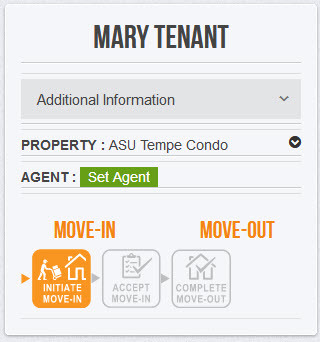 STEP 2: Click the button that says, "Initiate Move-in" and click "Continue." The tenant will receive an email with instructions letting them know they have 5 days to complete the move-in inspection. 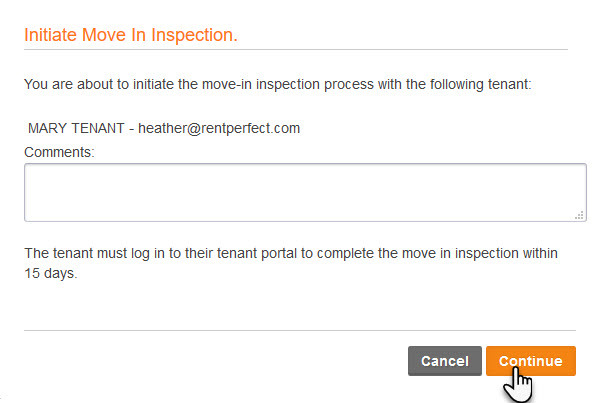 STEP 3: The tenant must log in to their tenant portal at www.rentperfect.com to complete the inspection. 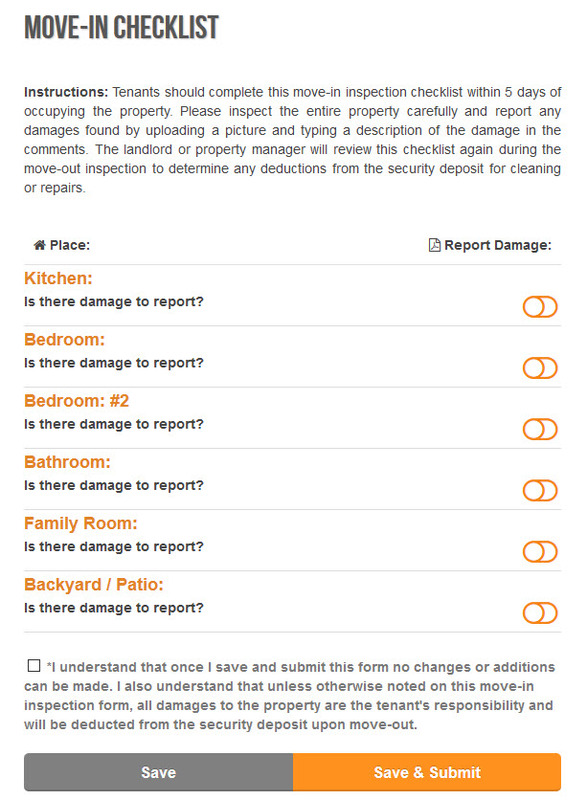 The tenant should inspect the property and report any damage found by uploading a picture and giving a description of the damage in the comment box. 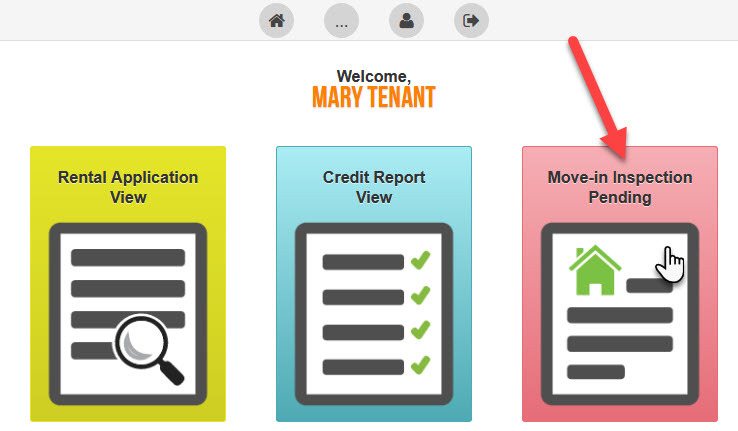 Move-in inspections are easily done using a smartphone camera or the tenants platform of choice. Once a move-in inspection is completed the tenant cannot make any changes or additions to the inspection report. The move-in inspection must be completed within 5 days. After 5 days the move-in inspection period will expire and the tenant will no longer have the ability to report existing damages. At that time they accept the property in its curent condition. The landlord will receive an email notification once a move-in inspection has either been completed or if the move-in inspection period expires. 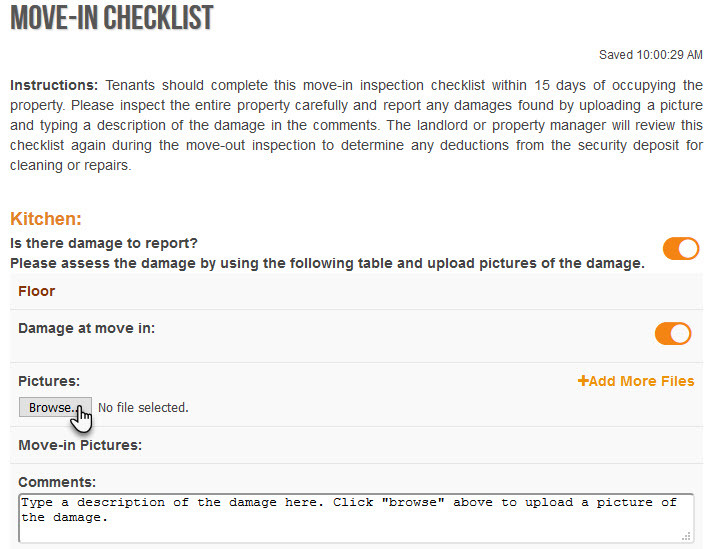 STEP 4: Once the tenant's move-in inspection is completed the landlord can log into their account to view any reported damages and accept the report. 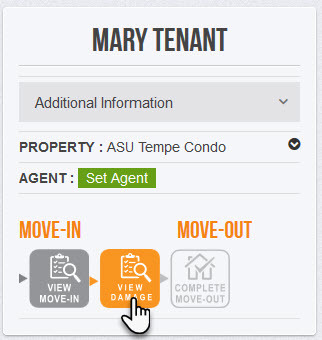 Step 5: Once the landlord has accepted the report they can click the button that says "View Move-in" to view a full copy of the completed report. All pictures and the completed report stay in both the tenant and landlord online portals for instant access and review once the tenant vacates the property. When it is time for the tenant to move-out of the property the landlord will simply click the "Move-Out" button to initiate and complete the move-out inspection of the property. The inspection of the home is effortless as the landlord can directly compare the photos at move-in with the current condition of the property at move-out.